MUNGA, MICHAEL A. & MWANGU, MUGHWIRA A. Although the Human Resources for Health (HRH) crisis is apparently not new in the public health agenda of many countries, not many low and middle income countries are using Primary Health Care (PHC) as a tool for planning and addressing the crisis in a comprehensive manner. The aim of this paper is to appraise the inadequacies of the existing planning approaches in addressing the growing HRH crisis in resource limited settings. 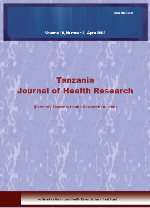 A descriptive literature review of selected case studies in middle and low income countries reinforced with the evidence from Tanzania was used. Consultations with experts in the field were also made. In this review, we propose a conceptual framework that describes planning may only be effective if it is structured to embrace the fundamental principles of PHC. We place the core principles of PHC at the centre of HRH planning as we acknowledge its major perspective that the effectiveness of any public health policy depends on the degree to which it envisages to address public health problems multidimensionally and comprehensively. The proponents of PHC approach in planning have identified intersectoral action and collaboration and comprehensive approach as the two basic principles that policies and plans should accentuate in order to make them effective in realizing their pre-determined goals. Two conclusions are made: Firstly, comprehensive health workforce planning is not widely known and thus not frequently used in HRH planning or analysis of health workforce issues; Secondly, comprehensiveness in HRH planning is important but not sufficient in ensuring that all the ingredients of HRH crisis are eliminated. In order to be effective and sustainable, the approach need to evoke three basic values namely effectiveness, efficiency and equity.